Crab Farm Winery celebrates limited amounts of hand crafted quality produced wine. Our family concern is situated in Bay View just north of Napier. Being less than 200 metres from the Pacific Ocean provides the vineyard with moderate night temperatures, lessening the chances of frost damage. The vineyard grows on a site of river metal silt and ex-marine muds. Before the 1931 earthquake, more than half of this area was under estuary tidal waters. This huge natural disaster raised Crab Farm by 9 feet. 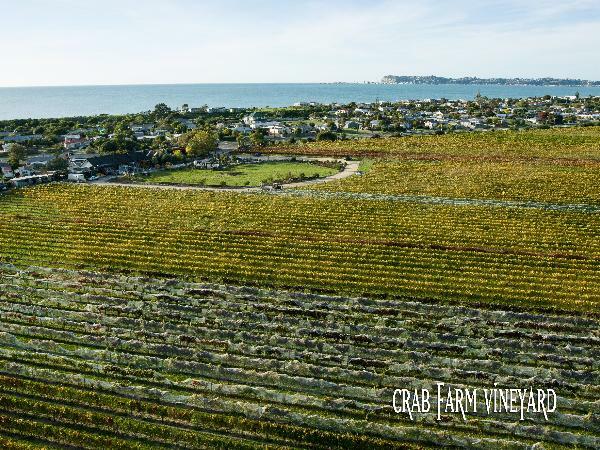 Crab Farm Winery is a boutique family owned and operated winery and restaurant located just out of Napier in Bayview. Established with our first vintage in 1987 we offer a wide range of wines all grown on our three vineyards located throughout Hawkes Bay.